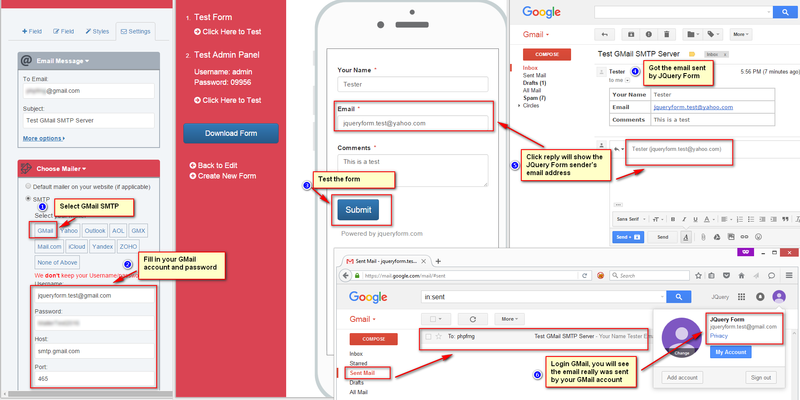 How to use GMail SMTP as JQuery Form mailer? 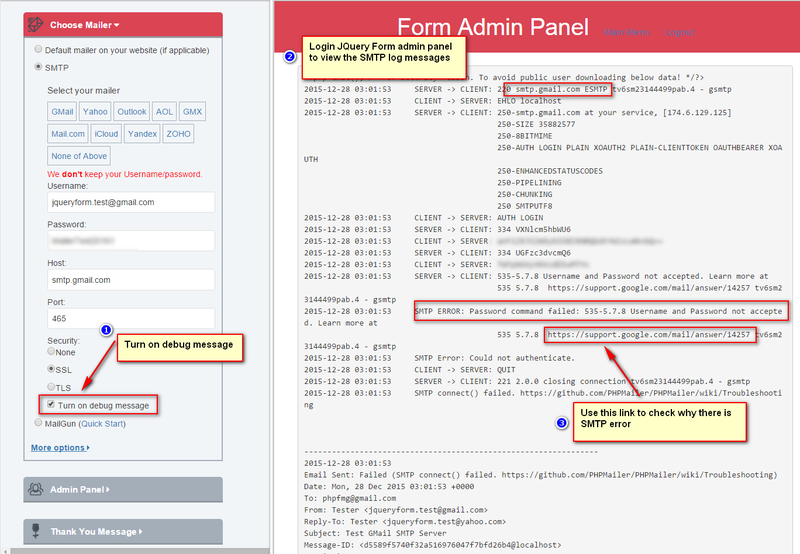 Turn on SMTP debug message if you don't receive emails using GMail SMTP email server. You might enter wrong credential, or Gmail SMTP server is blocked by your hosting company. 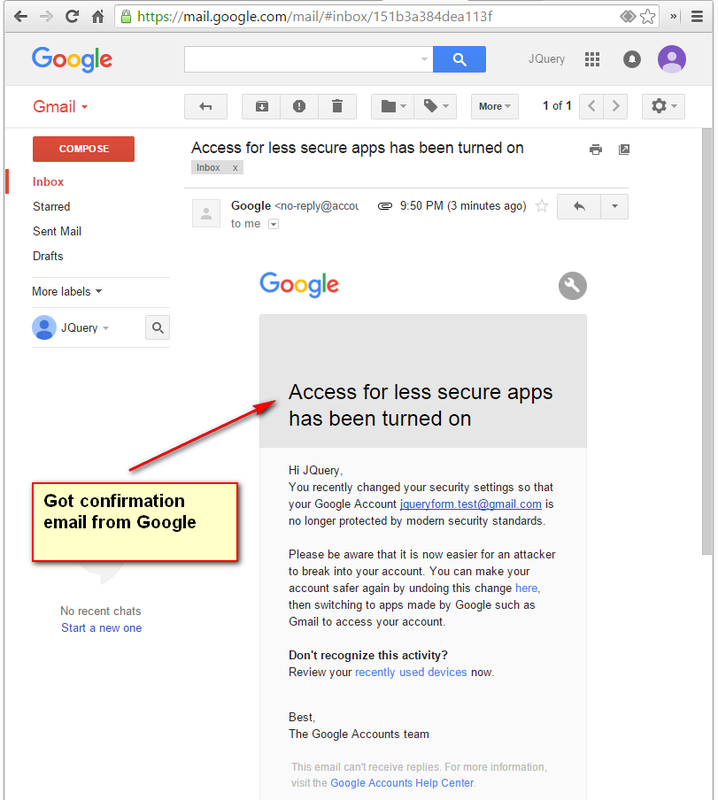 Make sure you turn on "Allowing less secure apps to access your account": Go to the "Less secure apps" section in your GMail account. 2015-12-28 03:01:53 SMTP Error: Could not authenticate.